Copper Mountain -One to Seven Day lift tickets at up to 52 % off! Click here to purchase!! The ticket must be picked up and used on the first day (the "start date"). The remaining days of use may occur anytime during the remaining 4 days. You may pick up your tickets at any Copper Mountain ticket window or Guest Services in East Village, Center Village, or West Village or at the Group Tickets desk at Copper Sports in Center Village. Group Tickets is to the right of Guest Services, as part of the Adventure Desk. Contact us to hear of new deals as they come in. - Our Blog! 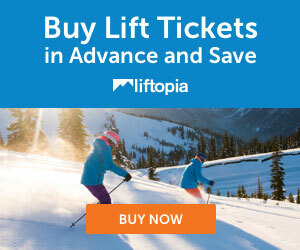 One to Seven Day lift tickets at up to 52 % off!